User-led interventions: an expanding resource? 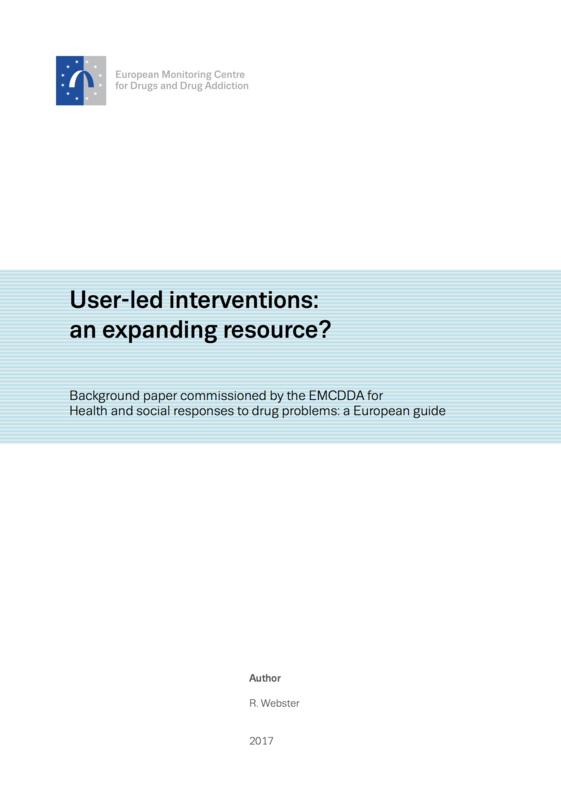 This short paper outlines the growth of user-led interventions across Europe in the problem (as opposed to recreational) drug sector over recent years. It starts by attempting to define and categorise user-led interventions before describing a number of examples and sharing what is known about their effectiveness. The paper concludes by identifying likely developments, highlighting the opportunities created by user-led work and detailing the challenges for policymakers and commissioners in Europe. It is important to note that this paper is not based on a comprehensive survey of user-led initiatives in Europe, nor does it seek to list the many organisations and programmes operating in this space. Indeed, it does not appear that a survey of user-led services has ever been carried out. Hunt et al. (2010) point out that there are several difficulties in surveying the user-led provision accurately, since some organisations have a short lifespan and stigma means that there are good reasons for certain organisations to avoid being too visible. In addition, the extent to which users or ex-users are involved in leading a specific organisation is not always clear. The EMCDDA is grateful to the author for this valuable contribution. The paper has been cited within Health and social responses to drug problems and is also being made available online for those who would like further information on the topic. However, the views, interpretations and conclusions set out in this publication are those of the author and are not necessarily those of the EMCDDA or its partners, any EU Member State or any agency or institution of the European Union.